Sesame Street, originally uploaded by txhiggsfamily. 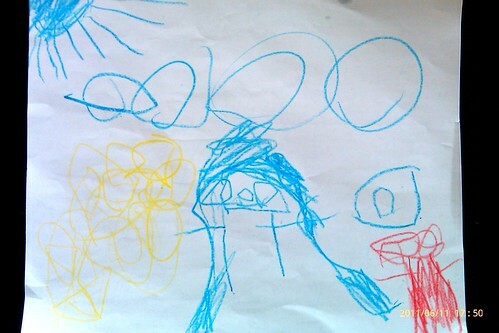 Elle’s adorable drawing of (left to right) Big Bird, Rosita, and Elmo. Completely melts my heart.